Steve Rapp is member of both the Insurance Coverage and Construction Litigation Practice Groups. 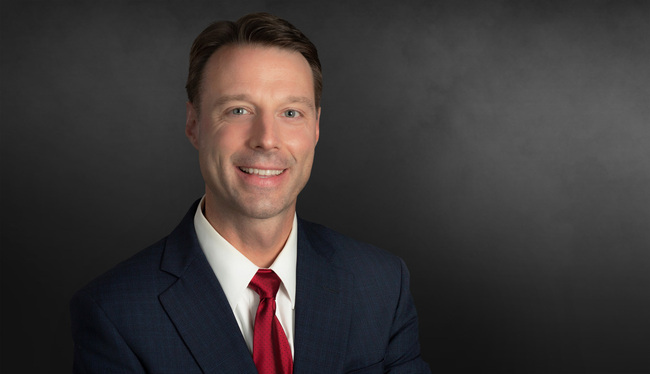 Licensed in Florida and Georgia, Steve represents a variety of clients throughout the country in cases primarily involving insurance coverage, construction and business disputes. Steve has participated in a number of trials and arbitrations for more than ten years. Successfully defended a general contractor in a water-runoff case in Cobb County receiving a defense verdict for the client after a week-long trial. Obtained judgment on the pleadings for insurer in coverage dispute concerning alleged defects in underground storage tanks at several gas stations throughout the state of Florida. First Coast Energy, LLP v. Cincinnati Insurance Company, 227 F. Supp. 3d 1282 (M.D. Fla. 2017). Assisted in a large trial against the City of Atlanta for wrongful termination of a construction contract, which resulted in an award of more than $10 million for the client. Regularly represents insurers in coverage litigation across the country, and recently helped litigate a bad-faith case against a multi-national insurance company in Tennessee federal court, negotiating a favorable settlement on the eve of trial. Represents aggregate mining company in a proposed class action alleging environmental contamination that purportedly caused an increase in pediatric brain cancer in a certain, defined area. Obtained summary judgment for the Hertz Corporation in an insurance coverage case in which the plaintiff sought to recover more than $5 million from Hertz. After obtaining summary judgment, helped secure the judgment on appeal. (Hix v. Hertz Corp., 307 Ga. App. 369 (2010) - coverage dispute arising out of self-insurance plan for rental vehicles). Bonnie, John C., and Stephen J. Rapp. LexisNexis Practice Guide: Georgia Insurance Litigation. LexisNexis, 2018. “An Overview of the Commercial General Liability Form,” presentation, Engle Martin & Associates, September 23, 2015. Presented "General Liability Defense." Third Annual Insurance in the Construction Industry Conference, The Seminar Group, March 6, 2014. Presented "General Liability Defense." Second Annual Insurance in the Construction Industry Conference, The Seminar Group, May, 22, 2013.